I get a chance to meet and hang out with a lot of youth as I help schools educate their faculty, staff, and students about promoting positive teen technology use. With some, I’ve developed a friendship and have met their parent(s), and it has provided me a sounding board off which I can bounce ideas, as well as a young colleague with whom I can brainstorm and chat about what works and what doesn’t. One standout student like this is Lauren Britton, a junior at Pine Crest School in Fort Lauderdale who wants to study psychology and perhaps become a social scientist who does research in this area. 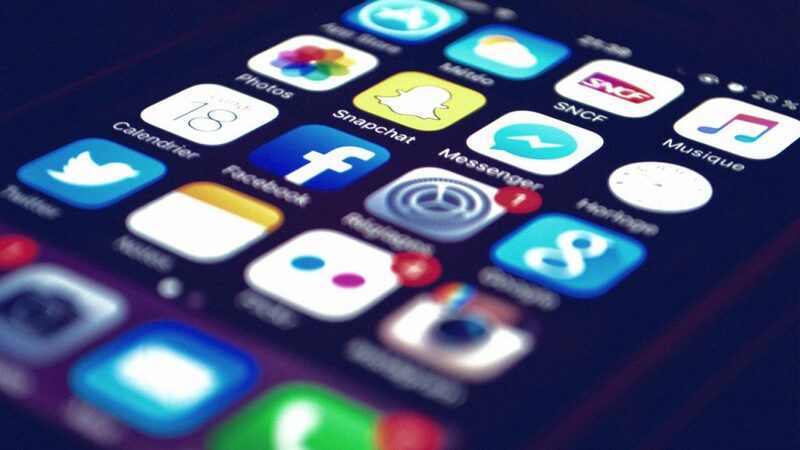 We regularly keep in touch about teens and social media, and we’ve recently gone back and forth to get to the bottom of how she and her peers feel about the current state of things. Here is the product of our dialogue, and I hope that it gives you an updated idea of popular teen perceptions regarding the apps they use and love. Hi, I’m Lauren – I’m 17 and just started the 11th grade. Overall, I consider myself to be a very social person. I actively interact through Snapchat, Instagram, Facebook, and sometimes Twitter. In general, though, I have mixed feelings about social media. I think that it is insanely cool that I can see what people are doing on the other side of the world and that I can stay connected with people near or far. Technology is also a great source for entertainment. When I am bored, I don’t play a game on my phone, but instead I text a friend, check my Snapchat, Instagram, or any other social media platform and immediately forget my boredom. A two-minute break on my phone can turn into two hours with the endless possibilities that technology offers. 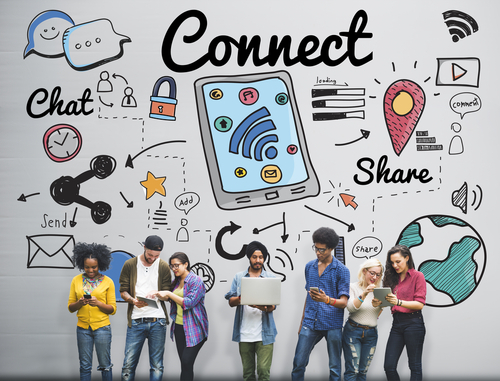 Even though social media has its downsides, it is nearly impossible for a young person to avoid or disconnect from it. I personally love Snapchat. It’s quick, easy, and fun. It’s not about how many likes you can get (like on Instagram or Facebook), which takes away the pressure we sometimes feel on other more “permanent” platforms. On other apps, it’s all about posting the best of yourself and what you are doing. I have definitely taken numerous shots of a specific pose or scene to make sure I had an amazing one to post on Instagram or Facebook. Some teens I know will even set up photo shoots at the beach or wherever to get the best pic for social media sharing. My point is, we don’t really worry about that when using Snapchat – we just share with the world a bit of our day and don’t stress out too much about how we look. I also think most high school students really like Snapchat because of its accessibility. You can quickly “snap” a picture and put your phone away. Snapchat also keeps it fresh with new filters. It is difficult to get bored with the app. Snapchat also has geotags in some of the more populated and well-known cities so people look forward to using those. A popular filter on Snapchat takes your face and adds dog-ears and a tongue that moves – that is one of my favorites. If I am not on Snapchat my next “go to” social media app is Instagram. It lets you share both pictures and videos with all of your followers (if your account is set to “private”) or with all who want to see (if your profile is public). 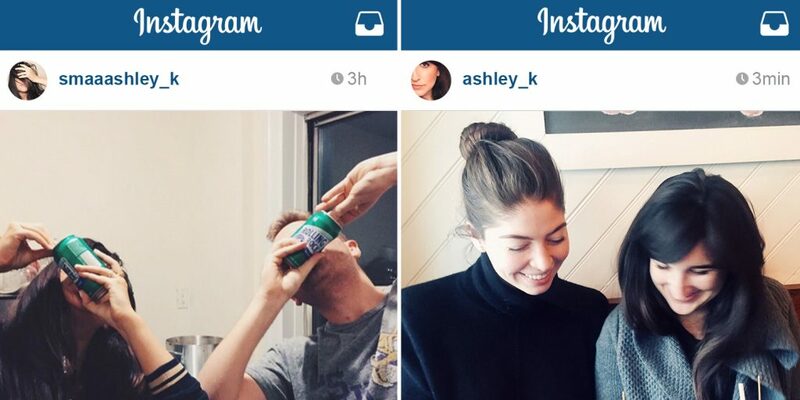 I like Instagram because I can see how people are spending their time and who they are spending it with. 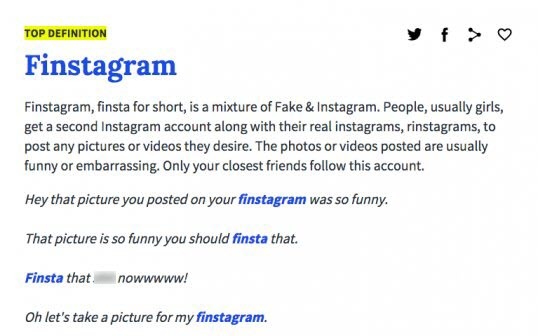 Within Instagram, some people create what’s known as a “Finsta” (Fake Instagram). This second Instagram account is for only a select few people in which you share pictures of yourself not looking your best, or you doing something funny or unconventional or maybe questionable. You share things on your finsta that you would not want all to see. When creating this finsta account you choose a username that is cleverly based off of your name but can’t be traced back to your real Instagram or what’s known as a “rinsta.” You can see what I mean as you consider the content in the screenshots below – finsta on the left, rinsta on the right. Shockingly, I don’t mind Facebook as much as some of my peers do. We all have one, but a lot of teens I know don’t really check it that often at all. I actually like Facebook and think it’s making a comeback. I like it because rather than choosing just one or two pictures to share on Instagram or Snapchat, I can create an album on Facebook and put as many pictures as I would like, basically free of judgment. It’s free of judgment because it’s the user’s choice if they want to look through all of the pictures of an album. They can choose to look through the first few and then exit out, or continue looking. On Snapchat and Instagram, to continue moving through your feed you have to look through everything. Facebook also makes it easy to share things through Facebook Messenger. This is essentially texting through Facebook and it tells you if your message has been read. I think Facebook is not as popular with high school students anymore because it is stereotyped that older people use it. I personally like it and hope others will begin to use it more and like it as much as I do. I have a Twitter but I have to be really bored to use it. I know some people like it but I personally don’t. People use it as a one sentence blog, I think, just to share how they are feeling or what they are doing in a phrase or two. I personally don’t like it because it is confusing. Everything goes in reverse chronological order so to fully understand what’s happening in what is known as a “thread” of tweets, you need to start from the bottom, which can be a little annoying. I have never gotten into Twitter. I just created one sophomore year to be in the know but sometimes never really think about checking it. Vine used to be used by everyone but my friends and I don’t use it anymore. Most of us have even deleted the app from our phones. However, when it first hit, it was hysterical to see some short funny videos that others had made. I think it is less popular now because people can share these short videos through Snapchat and Instagram. Kik is just another form of texting but that also went in and out very quickly among my friends. Twitter, and is another form of free texting but I only use for communicating with people who are out of the country because it is free. In high school, some but not many people are on Tinder and Grindr and other online dating sites of the sort. If people are going to meet through technology it is going to be through friends setting each other up, not through these sites. I personally don’t know anyone who is broadcasting their feeds on Periscope or another live streaming site, but I am sure some people do – like on Twitch if you are a gamer. Online games are common among my friends; they are typically done in more of a group setting playing against each other and offer up similar social aspects as available on popular social media. I got my first phone in the 5th grade. I would go home and end up texting my friends about my day and what I was up to. The next morning you would come to school and talk to your friends about who you texted the night before. In the 6th grade, I created my Instagram account and that is when social media really started to impact my life. That is when I personally realized the pressures that came with social media. You could see how many likes you got on a given picture and how many “followers” you had as compared to another person. I think that because social media is always around you and being used by everyone, it plays an important role in an adolescent’s life. I think that the accessibility of social media puts a lot of pressure on younger people and I definitely have felt it. If I posted a picture on my Instagram and it wasn’t getting enough likes I would delete it. For example, let’s say it has been up for 20 minutes, and I don’t have 60-80 likes by then, I really want to take it down. I think social media also can create an image of a person and situation that is not always accurate. And maybe adults don’t think that teens see that, but we do. We’re not dumb. We realize that the way people portray themselves online is often contrived and too “put-together” and not fully “real.” Anyone can post a picture on Instagram from a party or vacation and talk about how much fun they are having when that is not the reality. Realities can be distorted easily by anyone through social media, which I think is a major inhibitor of actually connecting with people. I think that social media makes it easier for people to put up a front rather than share how they really are, which in essence doesn’t help them to connect with others. Social media is only a window into a person; it does not show how a person is really feeling – which I think is a major negative. Social media is great for keeping in contact with those who are far away but I think it can negatively affect the relationships with those who are near a given person. I personally even do this. When I am at dinner with people I will end up texting someone else rather than communicate with the people who are right in front of me. I think it can also make it harder to be present where you are. In my opinion, the sad reality is that we are more interested in what others are doing and what they think than actually living our lives. I try and live in the moment but I don’t always succeed. Whenever I’m with someone or somewhere I tend to take a picture to “save” that moment. I think it just comes with the territory of social media because we do now have the power to save and even share these moments. I think social media does have a lot of negatives, but it also offers up a lot of positives in exchange. I personally use social media at the very least every half hour. Technically, we’re not supposed to, but the reality is that everyone is looking at their phone in discrete ways (under the desk, while pulling something out of my backpack, etc.). Plus, I can check Facebook and Instagram with my laptop (but not Snapchat which still requires my phone to access), which I’m typically using in my classes for schoolwork anyway. In a more practical way, social media also makes it extremely easy to get information out to a larger amount of people. The fact that it is so easy to be in contact with anyone can outweigh any negative. I think the use of social media by teenagers (and maybe everyone) is here to stay. Social media can be overwhelming and time-consuming, but with everything it is all about balance. I have never detached from social media and taken a break but I know other people my age who have. A very small number have stayed off of it completely, while most others have returned to it because they missed it. Social media is important to me because it keeps me in the know of what is going on with my friends and just about anyone. I can easily know where people are and what they are doing. It also is easy for me to share my life and to show everyone what I am doing and where I am. It offers up unique, fun, and easy ways to engage with others and stay connected. For those reasons, I love my technology and social media. Thanks for educating me on social media…Extremely proud of you. I often fear that your generation and those to come, will forget how to verbally communicate while looking someone in the eye… Personal relationships show a different kind of warmth and personality.. You are part of our future !! 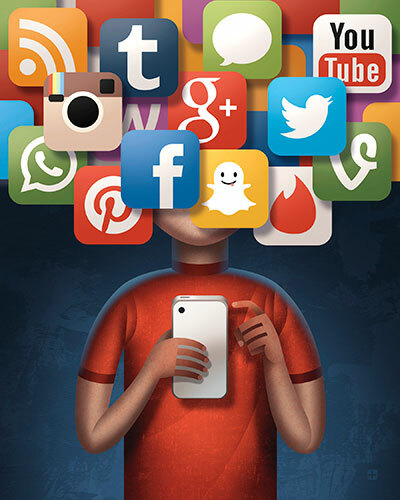 Should You Give Your Kid Snapchat or Instagram?